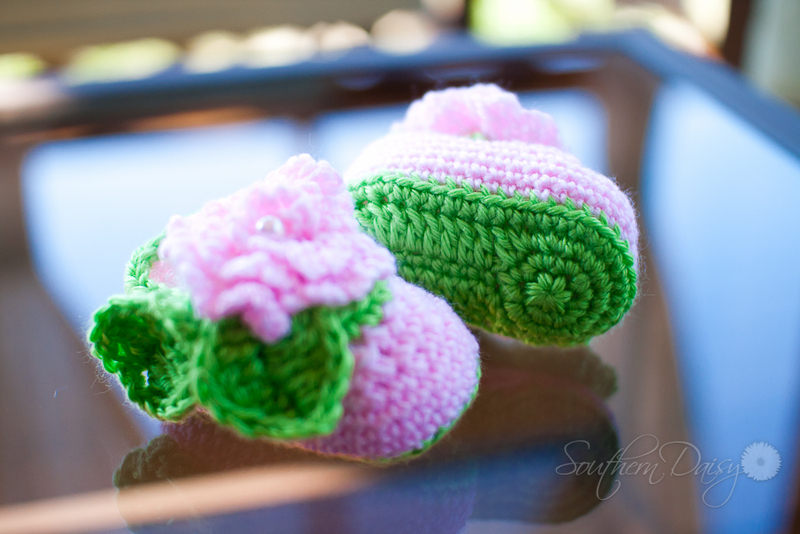 I’m giving away this adorable pair of baby booties, crocheted by yours truly! 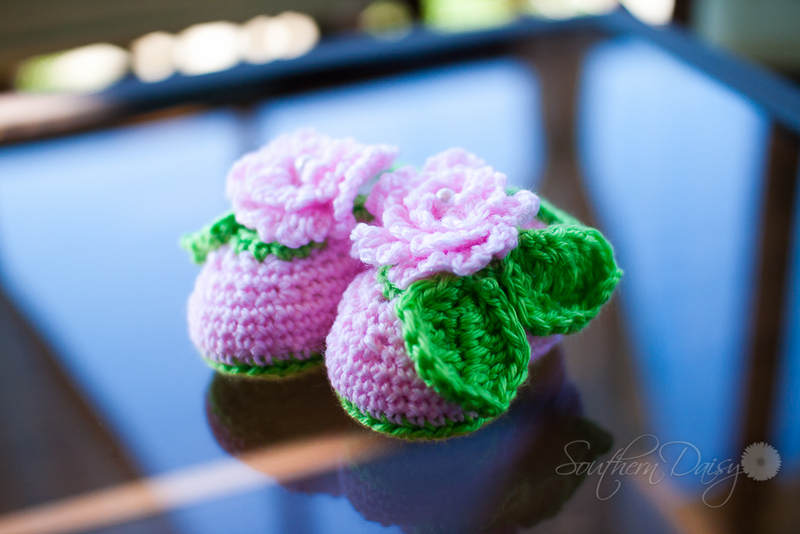 These baby booties have bright green soles and leaves, and a pretty pink flower with a pearl center. They fit most babies from 1-4 months. You have 6 chances to win, and each option below gives you one chance of winning. If you already do any of the following, you don’t need to do anything but leave a comment telling me you already do. For example, if you already like my facebook page, just leave a comment here saying that you do. Make sure you leave one comment per entry, instead of just saying everything in one comment. Contest is over. Winner will be announced shortly. Let me know in the comments section that you would like to win. If you haven’t already, click the “Like” button on my facebook page, and leave a comment here telling me that you’ve done that. If you already have, just leave a comment telling me that you have. Retweet this post by clicking the Twitter icon under the “Share” button below, and leave a comment saying that you’ve “tweeted” it. If you haven’t already, subscribe to my blog, and leave a comment telling me you’ve subscribed. You can subscribe in the upper right hand corner of this page. If you’re already subscribed, just leave a comment saying that you are. If you haven’t already, subscribe to my friend Rachel’s coupon blog, Saving and More, and leave me a comment saying that you have. If you haven’t already, click the “Like” button on Saving and More’s facebook page, and leave me a comment saying that you have. This contest is only open to U.S. residents, and runs from now until Tuesday, September 6, 2011 at 12:00pm Central Time. The winner will be chosen randomly at http://www.random.org. Make sure to leave your comments on THIS BLOG POST, as any facebook comments will not be counted as entries. I do “like” (love) you on Facebook. Like Saving and More. The twitter stuff isn’t cooperating with me right now 😦 ~ my internet is driving me nuts ~ I’ll try the twitter part tomorrow. These booties are PRICELESS by the way. Would love to win for my sweet next door neighbors – just had a baby girl named “Kaylee!” 6 weeks ago. Aww those booties are precious! I would love to win. Rilee would love these 😀 add us in! I really want to win these….they are so precious and someone I know just had a baby girl that would look precious in them! 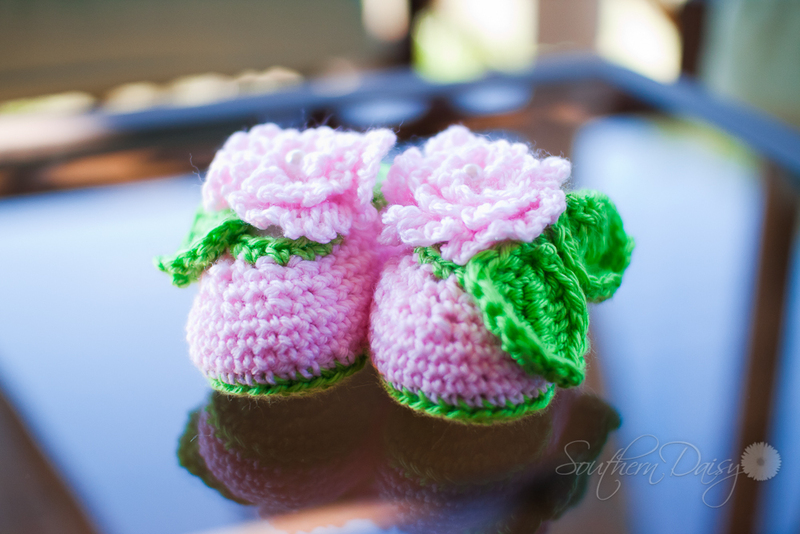 Luv to win these adorable booties, thanks! I subscribed to your friend Rachel’s coupon savings blog. I clicked “Like” for your Rachel’s facebook page…savings and more. I would love to win these beautiful booties! P.S. You do beautiful crochet work! I’d love to see more! I’m you’re newest subscriber. Thank you! I would like to win these for my friend who expecting her first baby. i sub’d to your emails! Love the booties! So precious! I would love the chance to win these! 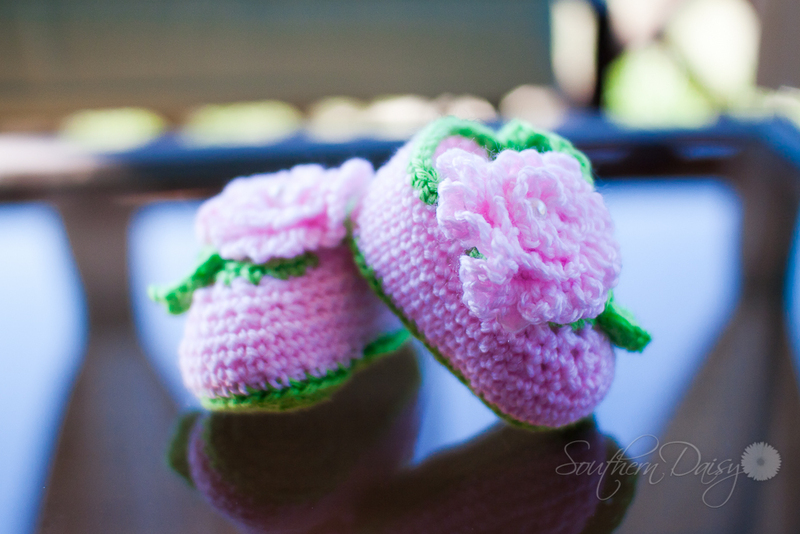 These baby booties are so precious! I love how it’s a flower..will brighten up their feet. Thank you!